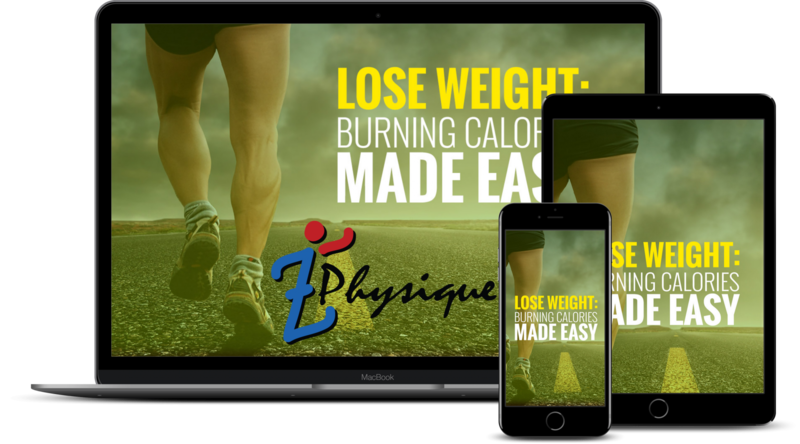 Z Physique Healthy Lifestyle Platinum Members are automatically enrolled in these courses as a benefit of their membership at no additional cost. Transform your body into a fit, calorie-burning machine with simple ways to burn more calories throughout your daily routines, whether you’re at home, work, or out and about. In 20 lessons, this course takes you step-by-step through your day, giving you tips, tricks, and techniques that enable you to burn more calories at every turn. In Module 1, you’ll discover the key to burning calories and see how to apply this key to your normal, everyday routines. Learn how any activity can be tweaked to burn more calories, with strategies for things you do each day, including household chores, shopping, and even watching TV! Module 2 shows you how to burn more calories at work, whether you’re commuting, working at your desk, in meetings, talking on the phone, or at lunch. See how you can really ramp it up in Module 3. This module shows you how you can make exercising fun, easier, and more effective. Learn how to adjust your workouts to burn more calories. And find out what foods to eat before and after a workout to help your body burn more calories, more efficiently. The secret to your success with this course lies in taking action to implement the new strategies you’ve learned. To this end, you’ll find handouts like affirmations, tracking charts, inspirational prints, and more throughout the course. Also, each lesson ends with a short exercise to help you get started using the tips in that lesson. You’ll develop new ways of approaching your daily tasks that enable you to automatically burn more calories. Your body will burn calories all day long, not just when you work out – even if you have a desk job and watch TV every night. You’ll become more physically fit. You’ll build a fun, healthy, and more active lifestyle. If you want to lose weight or become more physically fit, this course is for you. 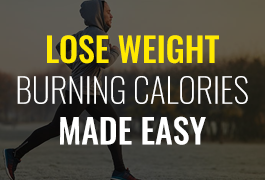 Discover the key to burning more calories. Learn how you can turn your everyday activities into calorie-burning opportunities. Whether you’re cooking, cleaning, shopping, or watching TV, you’ll use up hundreds of unwanted calories with these strategies. Don’t let your job interrupt your calorie-burning efforts! See how to burn calories while you commute, work at your desk, have meetings, or talk on the phone. Keep up the good work – even during lunch – with these tips. The fastest way to burn a lot of calories in a short time is by exercising. But what if exercise is distasteful to you? Luckily, exercise doesn’t have to be hard, boring, time-consuming, or take place at the gym. Discover how you can have fun with exercise. Use the strategies in this module to make exercise more rewarding, without disrupting your life. This course brings you tons of proven, easy strategies you can use to help you cut calories without strict diets, pills, supplements, special drinks, or feeling deprived. The course starts off with a bang as you learn 25 ways to slash calories on the sly in the very first lesson. The fun continues with ways to enhance your motivation and shop wisely at the grocery store during your weight loss journey. Learn how you can even benefit from taking a break from your diet. Discover strategies for cutting calories by when and how you eat. Learn calorie-cutting secrets for eating slower, controlling your portions, and eating in moderation. 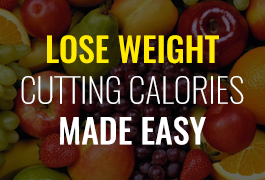 See how to cut calories in drinks as well as food. Module 2 of the course shows you effective tips, tricks, and techniques for coping with your eating triggers such as emotional eating, environmental triggers, and late-night cravings. You’ll also discover ways to avoid those frequent trips to the (high-calorie) drive-thru or ordering out, even if you hate to cook. Continue your calorie-cutting journey with ways to use your body’s natural processes to control hunger, increase your self-control, and maintain your weight loss as you move forward. As with any course, the secret to your success with this course lies in taking action to implement the new strategies you’ve learned. To this end, you’ll find handouts like affirmations, tracking charts, motivational prints, and more throughout the course. Also, each lesson ends with a short exercise to help you get started using the tips in that lesson. You’ll develop a new appreciation for food. You’ll build new habits that enable you to automatically consume fewer calories while enjoying your food more. You’ll enjoy increased self-esteem as you take greater control of the parts of your life that revolve around food. You’ll strengthen your self-control – a skill that will help you in every area of your life. If you want to lose weight, this course is for you. Module 1 begins with a short introduction about how you can get the most out of this course. Then, you dive right in. The first step to being authentic is to find out who you really are. This module helps you develop self-awareness. You’ll discover many details about your personality and how you got that way. We’ll also discuss how your past experiences have influenced you and help you clarify your values and true passions. What goes into forming your self-concept? Are the things you believe about yourself really true? It’s hard to be authentic if you have mistaken beliefs about yourself! This module takes you through the steps to give yourself a self-concept makeover. It helps you to reevaluate your past, form a healthy self-concept, and build your self-esteem. Unit 4 Who Do You Wish To Be? An important part of authenticity is accepting yourself. In the process of accepting yourself, it’s important to forgive yourself for your past mistakes and develop a positive self-image so you can move forward toward creating a life that you’ll enjoy. In this module, you’ll move past acceptance and learn how to actually love yourself – inside and out – body, mind, and soul. You’ll discover how to embrace your individuality. You’ll understand how you can let go of seeking approval from others while you build your belief in yourself. Now that you know, love, and embrace who you are, you’re ready to begin planning a future that will truly make you happy. This module will give you strategies that will lead you to discover your life purpose and incorporate it into your plans, goals, and daily life. This module will give you the power to live authentically. Learn to set priorities according to what’s important to you. Develop the courage to be yourself around others and feel good about it. Practice listening to your intuition. And create a future in which you live the life you desire. Unit 9 What Would You Do With Unlimited Resources? Course Summary: Discover new joys as you learn to let go of living the way that others think you should and, instead, live your life as the real YOU. Learning to live your life authentically is a process. 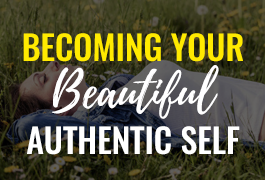 This course takes you through that process on an introspective journey that will result in newfound self-awareness, self-confidence, and the courage to create a life that truly makes you happy. You’ll learn how to accept yourself and love yourself just the way you are. You’ll understand your own value and what you have to offer the world. You’ll discover your passions and how to enjoy them in your daily life. You’ll see how you can structure your life around what matters most to you. Those who want to be themselves around others, increase their self-esteem, build their confidence, and live their life according to what’s important to them (not someone else). This course equips you with the tools to use overwhelming force against your challenges, so you can conquer them and reach your goals. What’s stopping you from reaching your goals? In 20 lessons, this course teaches you proven strategies to get past whatever’s holding you back. The first module gives you action tips that will enable you to overcome many types of setbacks, including fears, hopeless situations, failures, and more. You’ll discover the fastest way to resolve challenges, how to use creativity when you’re up against a wall, and tips that help you to believe in yourself even when you’re struggling. The second module shows you some tricks to motivate yourself to do great things and continue that motivation throughout your journey to achieving your goals. Next, you’ll learn techniques that will help you persevere until you reach your goals. You’ll find your reasons that keep you from quitting when the going gets tough. In wrapping up the course, you’ll discover solutions for obstacles, clarify the details of the life you want to live, and enjoy effective personal motivation as you write your own success story. You’ll gain an understanding of effective ways to deal with setbacks and failures. You’ll learn strategies and tactics for self-motivation. You’ll feel excited about the bright future that you know is ahead of you. This course is for you if you feel like you’re stuck where you are, or even worse, moving backward, because of your challenges. If you’d like to become unstoppable, you’ll enjoy learning these strategies. Setbacks are part of any success journey. One of the biggest differences between those that fail and those that succeed is the ability to handle setbacks constructively. 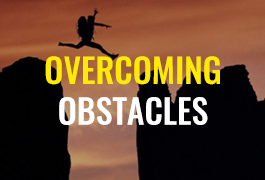 This module gives you enough obstacle-fighting tools to overcome setbacks with overwhelming force. Whatever your challenge, you’ll learn a strategy that can get you through it with flying colors. Motivation is the force that powers your success. Without it, the slightest setback will cause you to call it quits. Motivating yourself is a skill that can be learned. Master this skill, and any goal becomes easier to accomplish. This module gives you the tools to master motivation. Module 3 starts off with pondering an interesting question: What’s more important – grit or talent? Find out how they compare and what it has to do with achieving your goals. Learn strategies to finish what you start and discover what to do when you feel like quitting. Unit 3 Instead of Quitting, Try This! This module is a fun project! Following the instructions, you’ll get to create a detailed picture of the future, living the successful life you always dreamed of. You’ll show the actions you take to overcome your obstacles and reach your goals. Create your ideal lifestyle and the mindset, beliefs, and habits that support it. Learning how to be successful is a process. This course will guide you in this process. It begins with the development of an effective mindset and concludes with a plan for living the best year of your life. 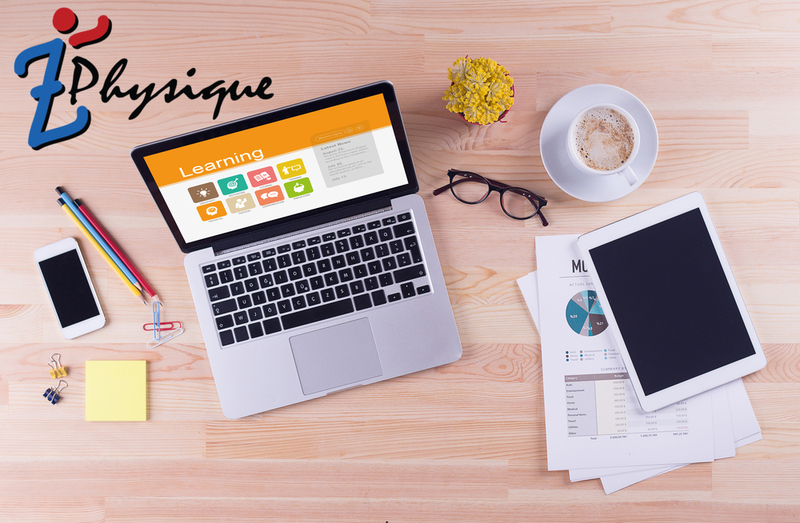 The course can be viewed as a library of strategies and tools to be used in creating a highly successful version of your brain. The 36 lessons are contained within 5 modules. Each lesson concludes with a required task that will help you build momentum from the very first lesson. It all begins with the mindset and learning how to be comfortable with success. Learn to deal with the negative beliefs that stand in your way. 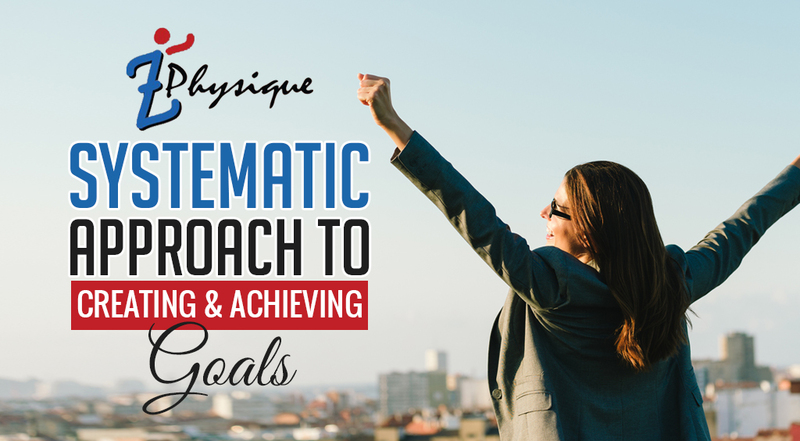 Develop a systematic approach to creating and realizing goals. Healthy and unhealthy habits can make or break your success journey. Finally, we’ll put all the information together and create a plan for living the best year you’ve ever had. There are no prerequisites for this course. It’s open to anyone with the desire to live a more exciting, satisfying, and successful life. Your success in this course depends on your ability to put the information into action. The information is simple, but understanding the information is insufficient. The application of the information is all that matters in the end. You’ll create a mindset that is naturally attracted to success. You’ll come to know your own, personal version of success. You’ll learn how to create effective goals and how to make them a reality. You’ll learn how to install new habits that support your goals. You’ll have a strategy for putting all the information together to create the best year you’ve ever had. This course is geared toward those who desire to be more successful and create the life of their dreams. Anyone that wants to learn how to be a more effective version of himself/herself will benefit greatly from this course. In Module 1, you’ll find an introduction with tips to get the most out of the course. Then it’s time to get busy. The important first step to developing a brain geared toward success is developing a success mindset. You’ll create your own definition of success, enhance your thinking, and learn how to deal with the fear of failure. Raising your expectations and avoiding self-sabotage are also covered. Unit 1 What Does Success Mean to You? Unit 7 Are You Uncomfortable With Success? You now understand the importance of having a success mindset after completing Module 1. Module 2 focuses on overcoming and minimizing limiting beliefs. You’ll greatly reduce the resistance in your life by completing this module. Goals are a necessary part of a self-determined journey toward success. Many set goals improperly and fail to fully harness the power of goals. Learn how to set your intention for the future and then make it happen. Habits are the cornerstone of success and failure. Healthy habits benefit all areas of your life. This module introduces the power of habits and how to manage them. Designing habits that support your goals from the previous module helps make success more automatic. Unit 1 Are Your Habits Helping or Hurting You? This final module gives tips, advice, and insight into having your best year ever. The module concludes with a thorough example of what it takes to have a great year. You can live your best year if you’re willing to do the work and stretch yourself. Unit 6 Do You Have What It Takes? Be inspired by words of wisdom from those who have already achieved great success and learn strategies to apply their ideas for success to your own life. This course shares the words of winners – great achievers who have been wildly successful, such as Walt Disney, Warren Buffet, Michael Jordan, and a dozen more. We’ve picked successful people from many different fields, but their ideas about achieving success are universal. First, in Module 1 - Dare to Dream, you’ll discover the importance of dreaming. Use these strategies to start dreaming of the life you want to live. Design a life based around what’s most important to you, and see your happiness, success, and fulfillment grow. Module 2 – Make Your Dreams Come True – gives you tips and techniques to bring your dreams to life and enjoy the journey as well. Throughout the lessons, you’ll find action tips, hands-on projects, self-reflection questions, affirmations, and print-outs to nourish your inspiration from start to finish as you discover how you can build a life you’ll love. No, the course is open to anyone who wants to develop and maintain inspiration to go after their goals and create the life they desire. You’ll develop a new excitement for the possibilities in your life. You’ll discover valuable and proven success strategies from winners, and how to apply them to your own circumstances. You’ll learn how to dream big dreams and make them come true. If you’re dissatisfied with your current circumstances. Module 1 shares inspiring wisdom from Douglas Adams, Walt Disney, Christopher Reeve, and more about the importance of your dreams and how to use them to fuel your success. Unit 1 Gain Inspiration From the Success of Others and Soar to New Heights! Unit 2 Jack Kerouac - We All Dream - Be Open to Yours! Those that have already been wildly successful provide clues and a roadmap for the rest of us. We’ll take a look at several famous achievers, including Steve Jobs, Oprah Winfrey, Michael Jordan, and more.